← How might bipolar disorder affect church participation and spiritual development? This is the fifth post in a six-part series: Pediatric Bipolar Disorder: A Guide for Children’s and Youth Pastors and Volunteers. Click here to read the entire series as a single page. A couple of weeks ago, I was sitting in a Board meeting at church in which we were discussing the concept of shifting from a “come and see” style of doing ministry, in which the church developed lots of cool events, worship experiences and attractions designed to bring people into our building to more of a “go and tell” style in which the people of the church become more outwardly focused, looking for opportunities to share the message of the Gospel in the surrounding community through serving others. The “come and see” strategy doesn’t appear to have been effective in attracting families of kids with bipolar disorder, but some combination of “come and see” and “go and tell” may be our best hope of connecting with them. 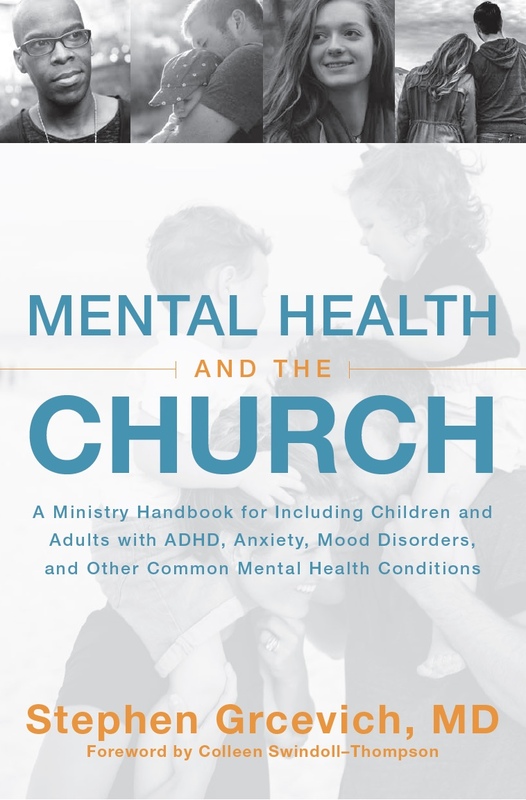 One challenge in welcoming families to weekend worship experiences involves the lack of predictability on any given day of how kids with bipolar disorder will react to church environments. Unlike kids with autism or ADHD who tend to exhibit more consistency of behavior, kids with bipolar disorder may require different levels of support from week to week. Many kids with bipolar disorder are able to fully participate in all activities without accommodations or assistance during periods of mood stability and would be insulted by the presence of a “buddy.” Some churches have found that maintaining a pool of several volunteers working in tandem with the children’s or youth ministry leadership, available during worship hours to provide extra assistance when needed is a much less restrictive alternative to “buddies.” Special attention also needs to be paid to transition times at church…drop-off, unstructured time before and after ministry activities and times when kids are moving from large group worship to small group activities. Kids with bipolar disorder are most likely to experience irritability or difficulty with aggressive behavior during transition times. Not every kid has to come to church to be ministered to by the church. Parents have far more time and opportunity to influence their children than the church does. Parents of a child with bipolar disorder are more likely to know the best strategies for communicating with them in different mood states. Equipping parents for spiritual leadership roles is an effective strategy for ministry to kids with disabilities. When a child’s aggressive behavior at church presents a significant risk to staff, volunteers and attendees, respite care can be offered in the home so that parents and siblings can attend worship, participate in small groups or Christian education activities and serve in ministries of the church. Middle and high school ministry leaders can identify spiritually mature kids with the respect of their peers to look out for kids with bipolar disorder (and other conditions such as Social Anxiety Disorder or Asperger’s Disorder) who are prone to struggle with relationships and consistent participation in church activities. Kids with bipolar disorder have gifts and talents, along with the same need for validation and recognition as their peers. Many are drawn to artistic pursuits…music, drama, art, literature. More than 20 different studies have suggested an increased rate of bipolar and depressive illnesses in highly creative people. Imagine the church being a place where they could make a meaningful contribution to the worship, creative arts, media and communication teams. A place where youth with “disabilities” can use their often considerable abilities to serve others while growing closer to God. Close to twenty years ago, I was working with a single mother and her son (we’ll call him Dave) with bipolar disorder. Dave’s father had been hospitalized during bipolar episodes in which he became violent toward his mother. His parents divorced after his father refused to take medicine that kept his violent behavior in check. Dave and his mother were connected to a very caring church, but a church that didn’t hold psychiatry or psychiatrists in high regard. Dave began exhibiting some of the same behavior that his father displayed during arguments with his mother, and I recommended medication. Dave’s mother insisted I speak to her their pastor before she’d agree to give him medication. The first words out of the pastor’s mouth were to ask me if I had a saving relationship with Jesus Christ. After the pastor found out I used a study Bible published by his favorite seminary professor, we hit it off just fine. He specifically asked what the church could do to help. After describing the situation, the pastor recruited two men from the church for Dave’s mother to call when she saw signs he was becoming more irritated to come to the house and lend her support. The men also agreed to spend some fun time 1:1 with Dave and build a relationship with him so they would be in a position to be positive influences in his life. The intervention…medication plus male role models…was exactly what the situation called for. Bottom line: The church did a great job of being the church for a boy with bipolar disorder and a mother in crisis…not by establishing a program but through responding to a need. 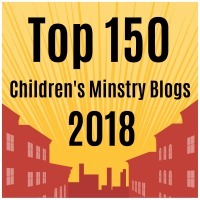 This entry was posted in Bipolar Disorder, Inclusion, Key Ministry, Mental Health, Ministry Environments, Strategies and tagged Bipolar Disorder, children's ministry, church, Disability Ministry, inclusion ministry, mental health ministry, pediatric bipolar disorder, Special Needs Ministry, spiritual development, student ministry, youth ministry. Bookmark the permalink. Great article. It applies to almost every Special Person. Until we leave the comfort of our safe church building I do not believe we will see growth in numbers and depth of ministry. The “Talking Head Expert Model”is about as contrary to the way Jesus ministered as walking is to flying. Jesus flew but we developed a system of walking because it seems we have more control over our lives and the lives of others. Good article and very insightful example showing how medication plus relationship are often needed. Great insights and resource, Steve! Thanks! I’m passing this along!